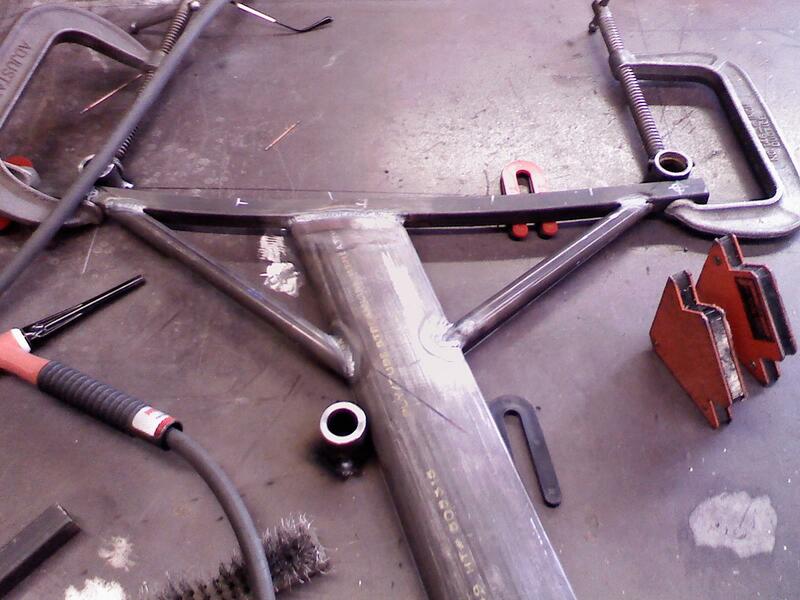 Today we started building the I Struts. 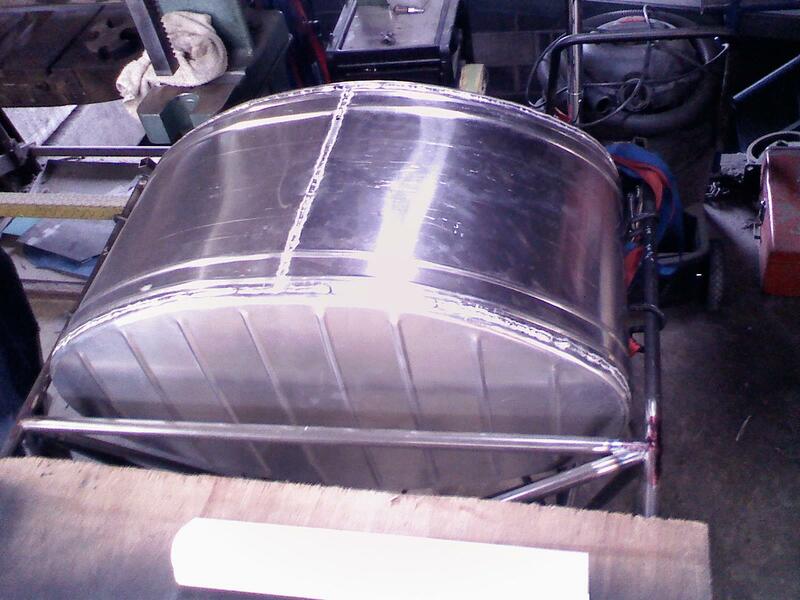 But before we get to that I have a few pictures of the fuel tank in the frame. 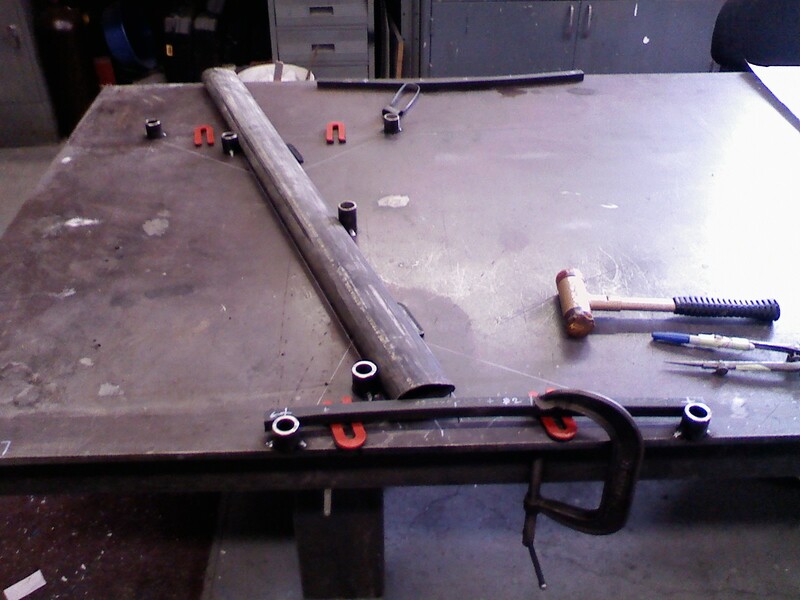 We laid out the I strut diagram on the table and welded in some round tube pieces that held the I Strut tubes in place for welding. 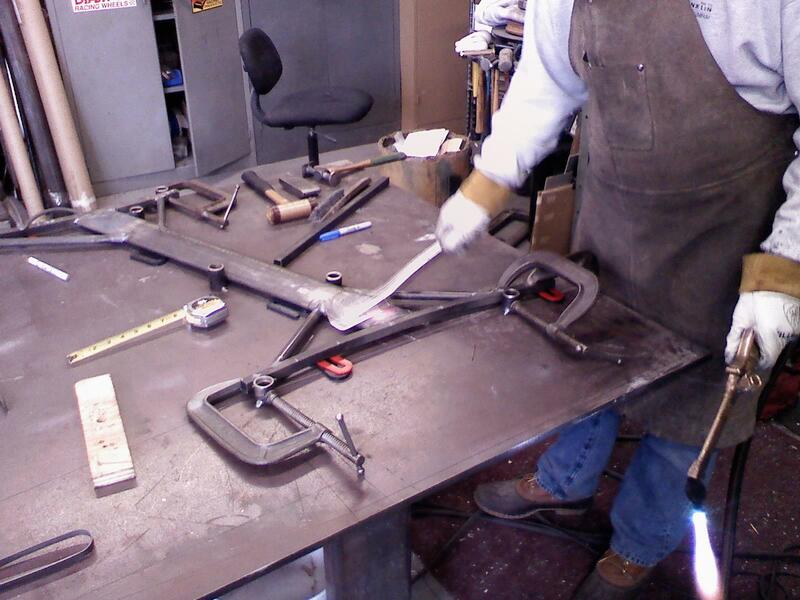 We then Bent the lower square tubing to the upper and lower wing profiles. 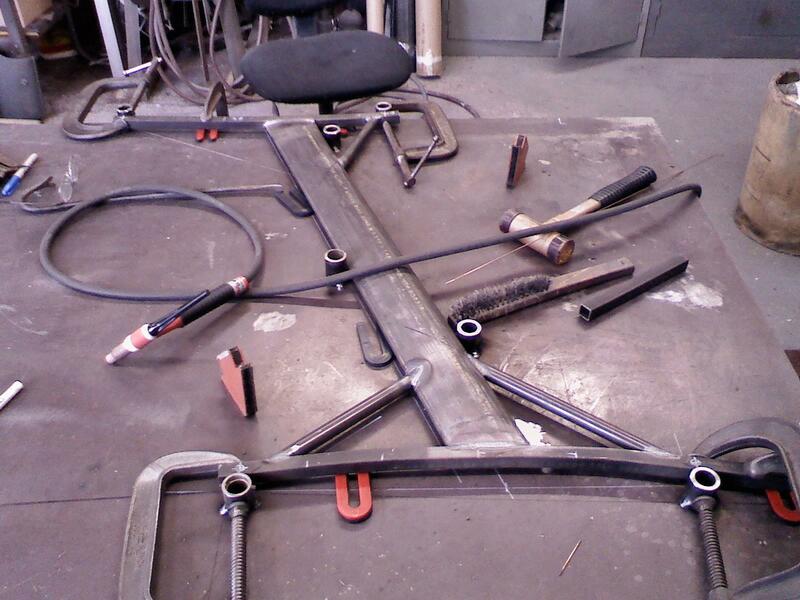 These are the pieces of the I Struts that bolt to the wing spars. 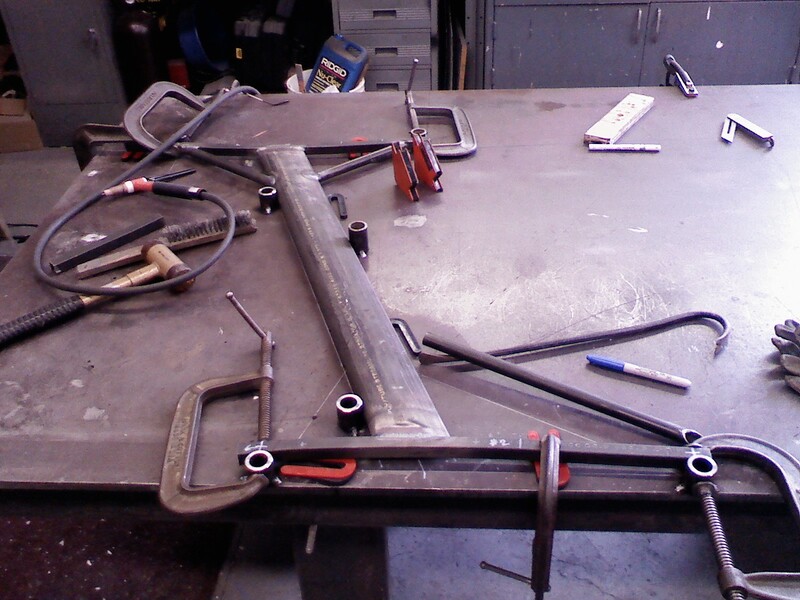 Here is a pic after we welded the Streamlined tubing to the 3/4 inch square tubes. 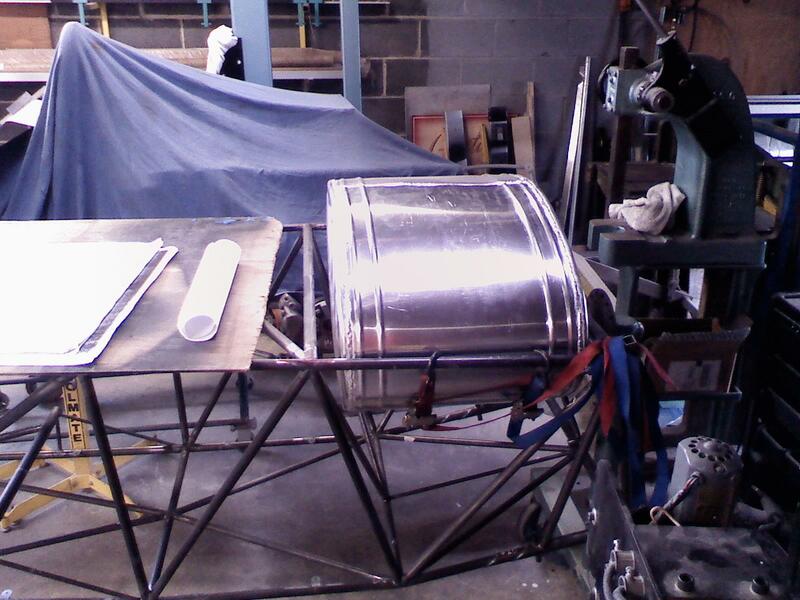 The I Struts keep the wingtips apart and form the rectangular box, along with the wings, of the biplane which is very strong. 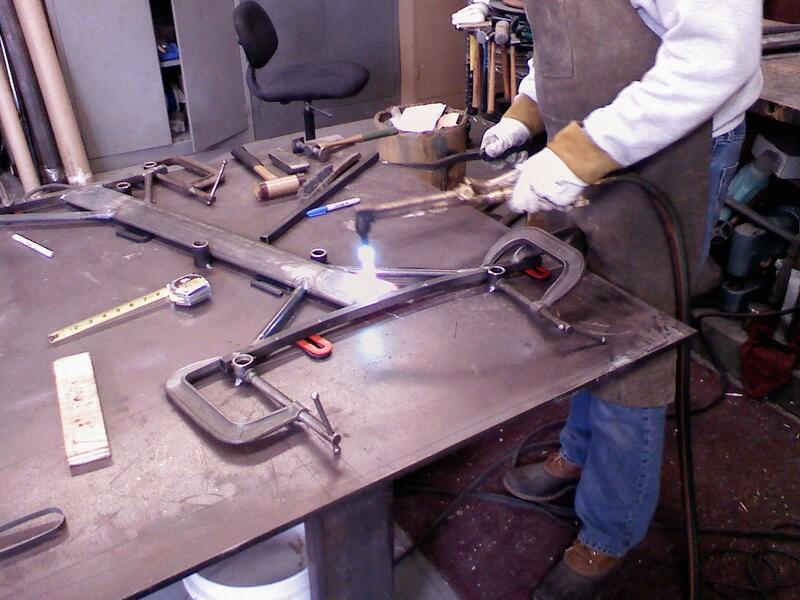 Next we welded in the 3/4 inch tube braces. 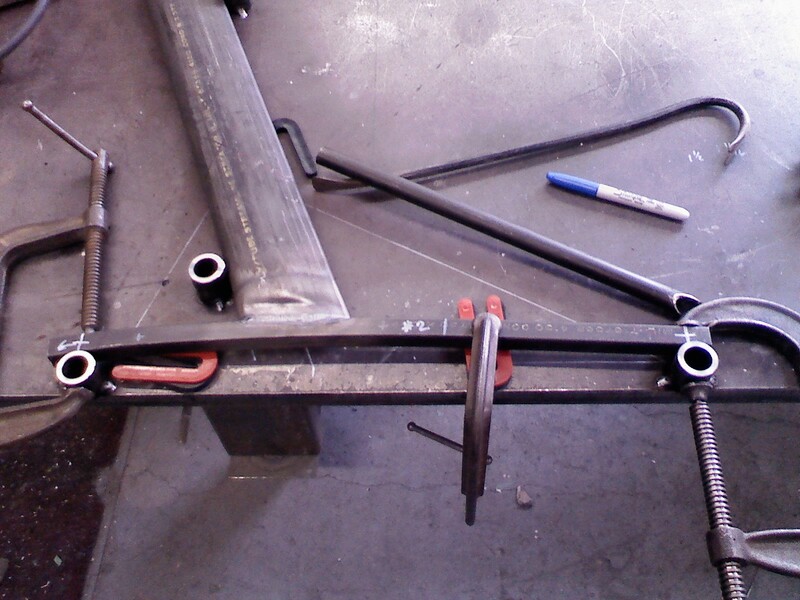 Next, because the Streamlined tubing is wider than the 3/4s of an inch brace tubes, we needed to heat and flatten that area of the streamlined tubing to 3/4s of an inch. Below Dave is heating the area and the last picture he is using the slap hammer to flatten that area. 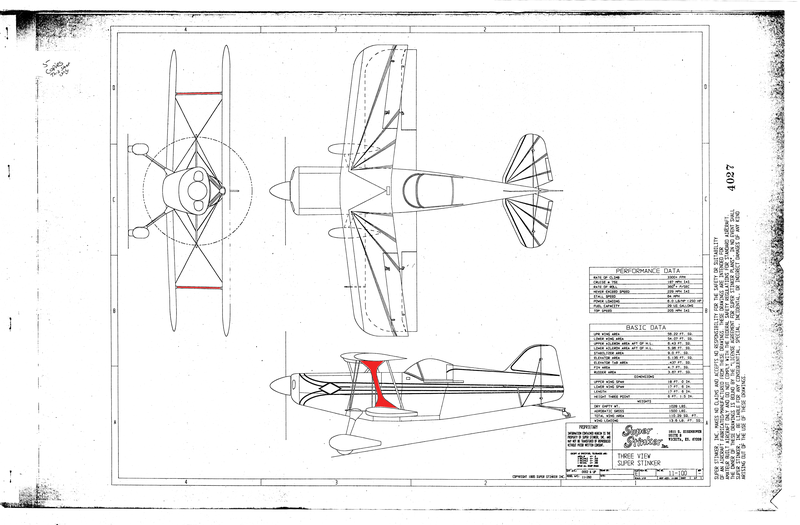 This entry was posted on February 8, 2010 at 3:48 am and is filed under Bottom Wing, Fuselage, Super Stinker X, Top Wing with tags I-Struts, Pitts Special, S-1-11, Super Stinker, Wings. You can follow any responses to this entry through the RSS 2.0 feed. You can leave a response, or trackback from your own site.